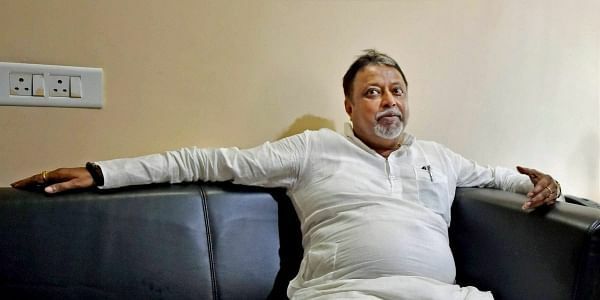 KOLKATA: Trinamool Congress (TMC) founder member Mukul Roy's induction into the BJP today has evoked mixed reactions among the political parties in West Bengal with the ruling TMC refusing to attach any importance to the development and the state BJP unit welcoming it. "We do not want to give much importance to what Mukul Roy does. He is no longer with the TMC and we are least bothered about him," a senior TMC leader, who did not wish to be named, told PTI. Roy, a former railway minister and parliamentarian who had recently quit the TMC, formally joined the BJP today. He was inducted into the saffron party at its headquarters in New Delhi in the presence of its president Amit Shah. The TMC, which had suspended Roy on September 25 for six years for "anti-party" activities, is yet to come out with an official statement on the issue. The Bengal BJP unit, on the other hand, welcomed the development and expressed hope that Roy would play a vital role in strengthening the base of the saffron outfit in the state. "We welcome the decision. As we all know that the BJP is growing at a fast pace in Bengal, Roy's induction will strengthen the party in the state. He is known for his organisational capabilities," state BJP president Dilip Ghosh said. Asked about the corruption allegations against Roy, Ghosh said, "There can be allegations against anybody, but until and unless they are proved, how can you call someone guilty? The law will take its own course." Incidentally, till a few months ago, the BJP had repeatedly launched verbal attacks against Roy and other TMC leaders for their alleged involvement in corruption and scams. The CPI(M) and the Congress claimed that Roy joining the BJP was a part of a "tacit understanding" between the saffron party and the TMC in Bengal. "We have been saying this for a long time that the BJP and the TMC have a tacit understanding in Bengal. Now, with Roy joining the BJP, it has been proved that the two parties are two sides of the same coin," CPI(M) politburo member and MP Mohammed Salim said. State Congress president Adhir Chowdhury also echoed his views.